This magazine focuses on the real estate market of Inverness, Illinois and is mailed directly to homes in and around Inverness, Illinois. It features single family homes for sale, condos for sale and land for sale. You will also find other information about the Inverness community as well as closed home sales prices and just sold real estate. After a decade of working as a REALTOR in the northwest Chicagoland area, the area in which I grew up, I recognized that Inverness was being under served by the real estate community. So in 2004 I set out to bring a higher level of service to the homeowners of Inverness. A level of service that was warranted yet missing. My team and I put together the most comprehensive Inverness marketing program ever created. This aggressive approach, tireless effort, and the community's desire for better service have made me the #1 listing agent in Inverness for the past 8 years. Today I continue to sell more Inverness listings than any other agent or group. 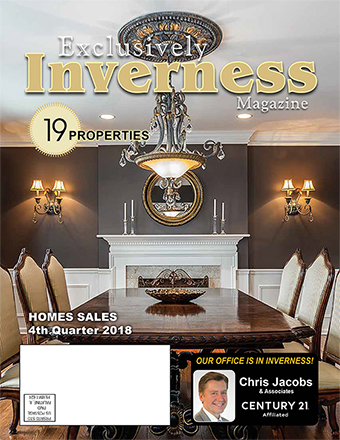 The Exclusively Inverness magazine is one part of my multifaceted marketing program. To learn more about what scores of past satisfied clients already know, please allow me the opportunity to discuss your specific needs and show you how I can help.